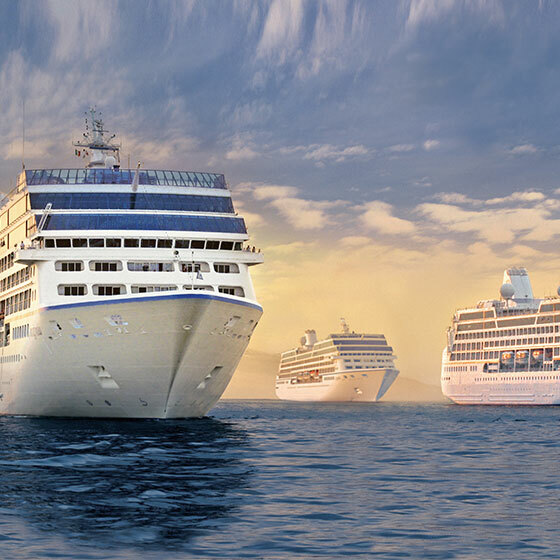 Formed in 2002 by luxury cruise industry veterans Frank Del Rio, Joe Watters and Bob Binder, Oceania Cruises is the world's largest upper premium cruise line. The Finest Cuisine at Sea™, Destination Specialists and Intimate & Luxurious Ships are the pillars that define Oceania Cruises' five-star product, positioning the line as the cruise company of choice for travelers seeking a truly refined and casually elegant travel experience. Featuring a fleet of warm and luxurious ships, Oceania Cruises offers an unrivaled vacation experience renowned for its gourmet culinary program inspired by Master Chef Jacques Pépin and its array of destination-rich itineraries spanning the globe. Seasoned world travelers are drawn to Oceania Cruises' diverse voyages, which call on more than 400 ports across Europe, Asia, Africa, Australia, New Zealand, the South Pacific and the Americas. Spacious and elegant accommodations aboard the 684-guest Regatta, Insignia, Nautica and Sirena and the 1,250-guest Marina and Riviera invite guests to explore the world in unparalleled comfort and style. At Oceania Cruises, they do things the R.I.T.E. way – Respect, Integrity, Trust and Excellence are the foundation of all their actions, every day, in everything Oceania do. Oceania Cruises will provide the highest quality cruise product for mature and discerning travelers by offering the finest culinary experience at sea, authentic destination experiences, and a warm and luxurious ambiance on every voyage. Combining a casually sophisticated onboard experience with the most alluring destinations around the world, Oceania provide their guests with a truly extraordinary travel experience.